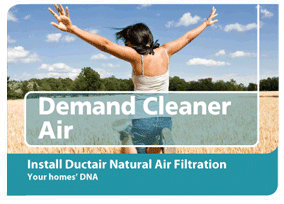 Enjoy cleaner air in every room with a Ductair DNA filter. 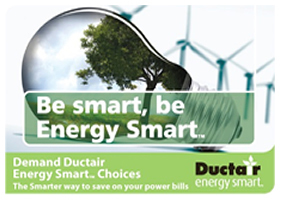 Make your system more efficient and reduce your energy bills. Always demand Ductair. 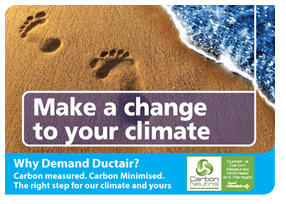 Ductair is working hard to manage its impact on the environment by taking steps to ensure it is carbon measured, minimised and managed. 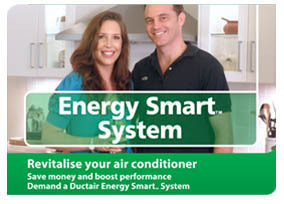 100% Australian owned, Ductair is a leading manufacturer of air conditioning ducting and fittings. Ductair is a leading manufacturer of quality air-conditioning duct and fittings. Ductair has been manufacturing and supplying innovative, quality products to the air conditioning, ventilation and heating industry for over 30 years. Our extensive product range and industry knowledge means we can deliver proven solutions to meet your air-conditioning needs. Proudly South Australian, we are a family owned business and employ 35 local staff; including 4 apprentices. We actively encourage equal opportunities for those with disabilities through our Corporate Social Responsibility and Workforce Programmes and are committed to the preservation of our environment by adopting best practice environmental management initiatives and operations. 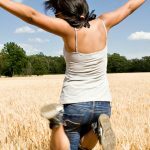 We have invested significantly in research and development to improve manufacturing and product development for our customers. With an extensive range of Energy Efficient products being produced and independently tested here in South Australia, we continue to be the industry leader in innovation for flexible duct and fittings. Our focus on environmental management has also driven us to lead the way in developing Energy Smart Air conditioning Systems for consumers. Independently tested, our Energy Smart Systems dramatically improve the performance of reverse cycle air-conditioning systems in Australian homes. We pride ourselves on providing superior service and superior products to meet the needs of our customers and we aim to set new standards in energy efficient heating and cooling systems with our range of Energy Smart products.